At Mount St Helens: Take care of your pet’s feet. Volcanic pumice is very hard on their paws. There is no shade (no trees standing) at Mount St. Helens. Pets left in cars will suffer in the heat. Please do not leave your pet unattended. To protect plant and animal life and provide for visitor safety, pets are prohibited at all recreation sites and trails within the Mount St. Helens Monument’s restricted area. Pets are permitted only in designated pet areas and must be on a leash. On National Forest Land, pets are allowed in the Gifford Pinchot National Forest. Dogs are allowed on most of the Okanogan-Wenatchee National Forest trails. Keep dogs under control and don't allow them to chase wildlife. Bring water for dogs and make sure they have nametags. 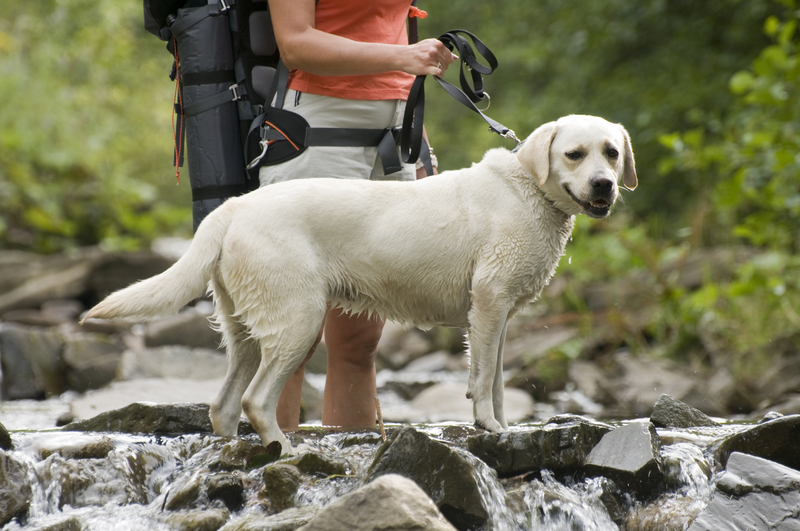 Watch for injuries to your dog's footpads in rocky areas, on ice or in extremely hot terrain. Inside Mt Rainier National Park: While inside the park boundaries, your pet can only go where your car can go: on roads, in parking lots and campgrounds. Your pet must be on a leash (not more than 6 feet long) and under your control at all times and may not be staked. Within the park, pets are not allowed on trails, snow, in any buildings or amphitheaters, or in the Wilderness. The only exceptions are service animals such as seeing-eye and hearing-ear dogs. The one exception – dogs on a leash are allowed on the Pacific Crest Trail near the park’s eastern boundary at Chinook Pass and along Hwy 123, Cayuse Pass.